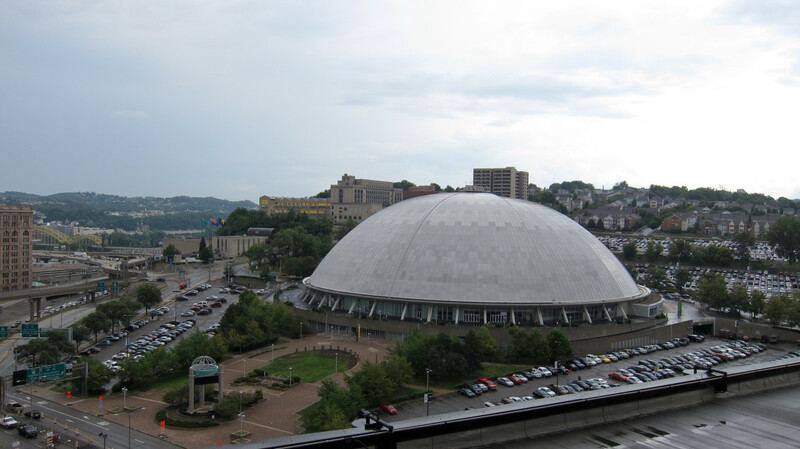 Located in Downtown Pittsburgh, PA, the Civic Arena was in the area known as the Lower Hill District. It was officially known as the Civic Auditorium Amphitheater, but only during its construction. The Civic Arena became its official name in 1961. (Pittsburgh sign makers had decided that the name Civic Arena fit better on street signs. Wikipedia) Constructed mainly for use by the Civic Light Opera, this prestigious theatre group called the arena home from 1961 to 1968. Pittsburgh's hockey team, the Pittsburgh Penguins, home from 1967 to 2010. The locals nicknamed the arena “The Igloo”, because of its domed shape. 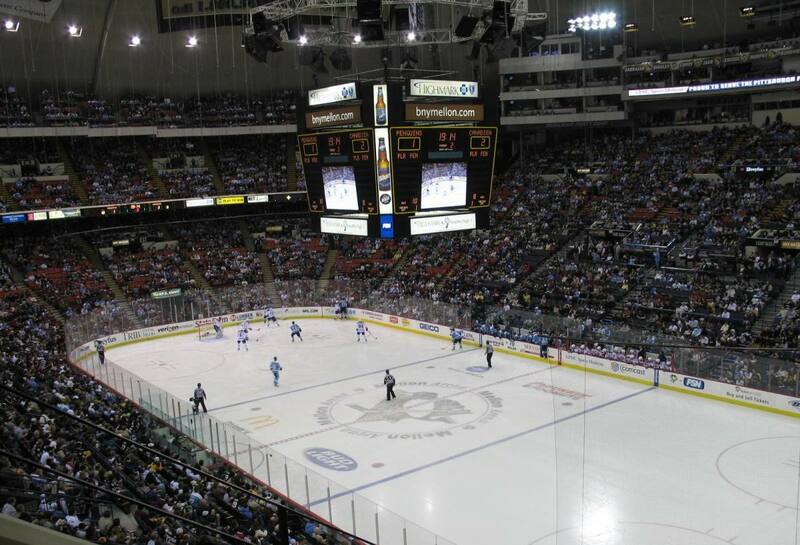 (The Penguins moved across the street to the new Consol Energy Center, as did all other events, playing their first game there on October 7th, 2010 ). In 1949, Edgar J. Kaufmann (head of the former Kaufmann's Department Stores) first proposed the new auditorium as home for the Civic Light Opera. The CLO performed in the open-aired Pitt Stadium at the time--a closed venue was needed. He offered Pittsburgh Mayor David Lawrence $500,000 for a new closed roof arena and $1,000,000 if it had a retractable roof (to enjoy the performances under the stars). 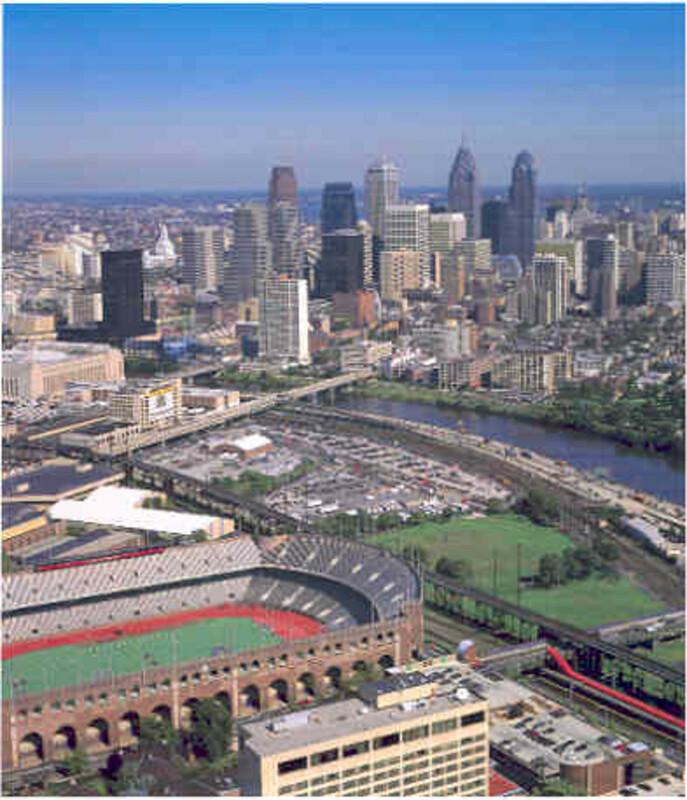 In addition, the it was to serve as a multi-purpose arena for sports and as a convention center. 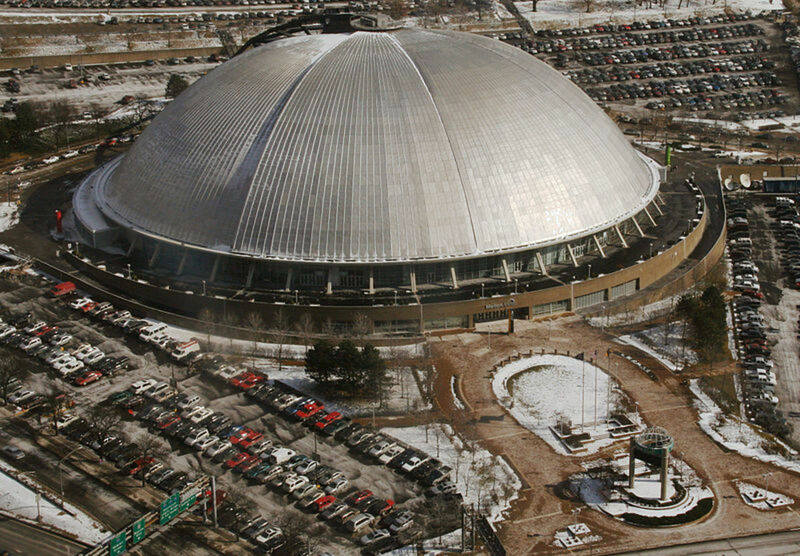 It housed the world's first retractable, stainless steel dome. Costing $22 million, a combination of public and private money were used, including grants from Allegheny County and the City of Pittsburgh (in addition to Kaufmann's offer). 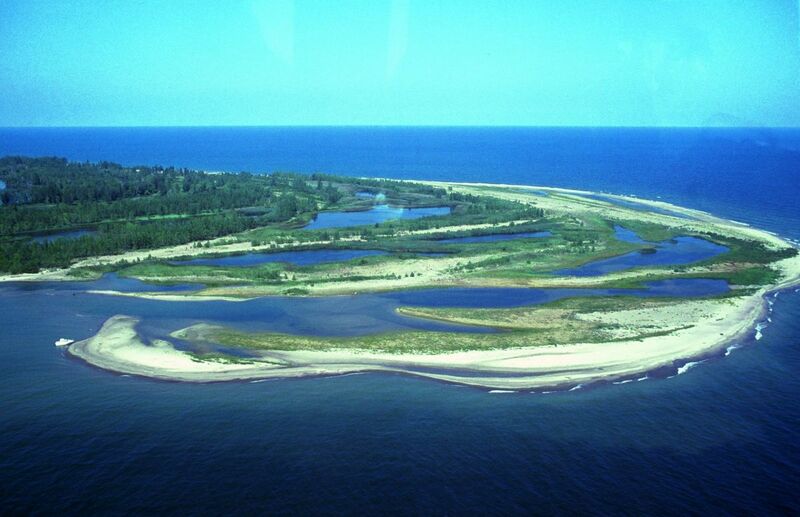 The plans were the design of architects Mitchell & Ritchey with structural engineers Ammann & Whitney. The stainless steel dome reflected the sun in a blinding glimmer. This was the first major-sports venue to have a dome covering which stretched over 170,000 sq. feet. Supported by a 260-foot-long cantilevered arm on the outside. (A projecting structure, such as a beam, that is supported at one end and carries a load at the other end or along its length. TheFreeDictionary) It was made with almost 3,000 tons of steel. The steel was from Pittsburgh, the "Steel City". The roof had 8 sections: two fixed and six movable. The hydraulic jacks system never functioned consistently and the roof permanently closed after 1994. The auditorium seated up 14,000 people. Through improvements, seating increased steadily, reaching a 16,940 capacity in 2010. 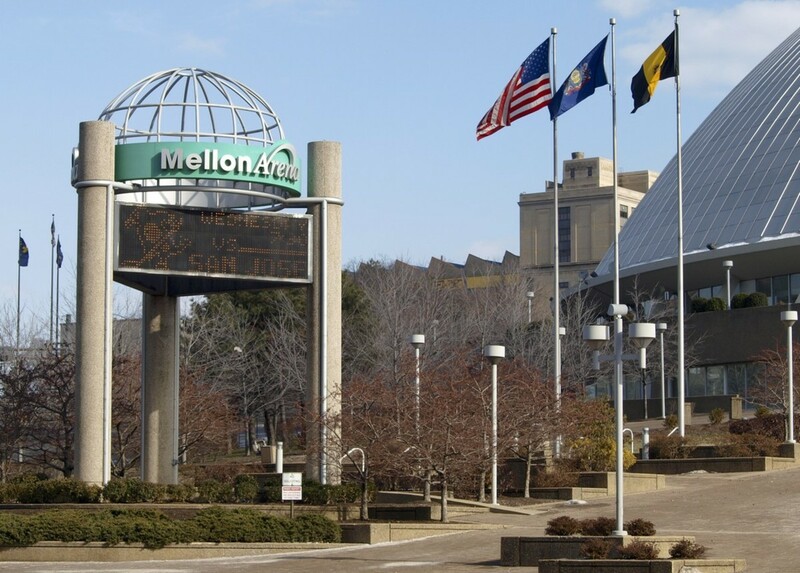 The building was renamed Mellon Arena in 1999 when the Mellon Financial Group purchased the naming rights (the team was looking for new ways to raise revenue). The naming rights expired in 2010 and the name reverted back to the Civic Arena. The original address was 300 Auditorium Place and renamed “66 Mario Lemieux Place” in a ceremony with Mayor Tom Murphy, on May 13, 1997. This was done to honor the Pittsburgh Penguins' hockey legend, Mario Lemieux, because of his tremendous achievements. The Civic Arena closed on June 26, 2010. Demolition began Monday, September 26, 2011 and was completed on March 31st, 2012. The Civic Arena closed on June 26, 2010. The Penguins and all other events moved to the new Consol Energy Center. 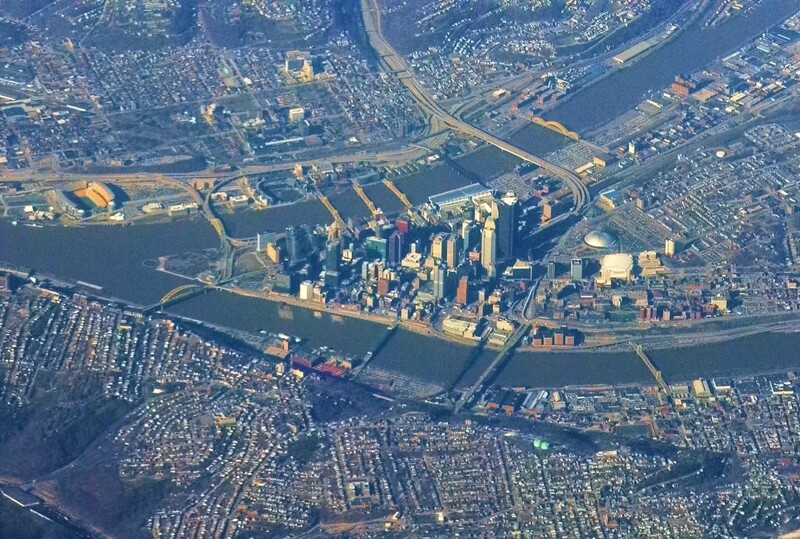 The Sports & Exhibition Authority of Pittsburgh and Allegheny County, (the arena's owner) initially voted in September 2010 to begin demolition in 2011. 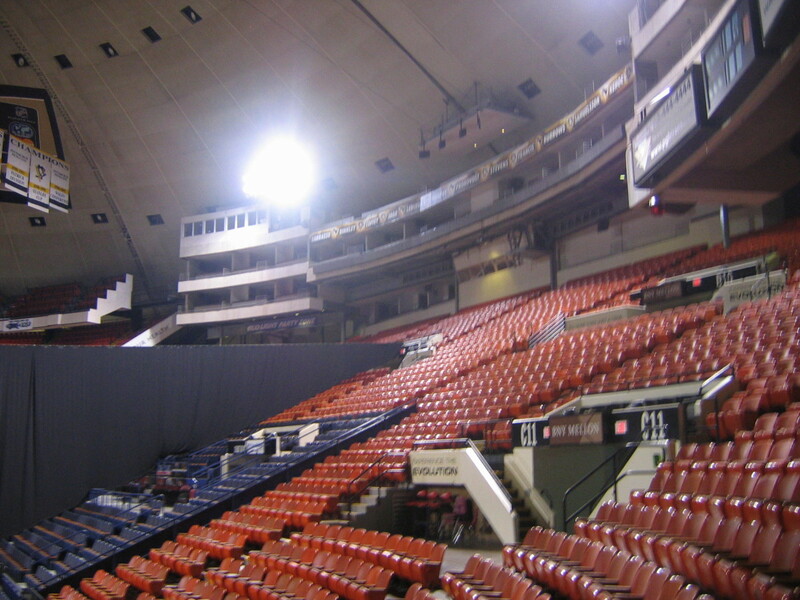 In November 2010, the arena was nominated for Pittsburgh historic status, and was delayed. The Pittsburgh Historic Review Commission met on March 2, 2011 to hear this plea. Mario Lemieux played his first game for the Pittsburgh Penguins on October 11, 1984. On his first shift, he stole the puck from defense-man Ray Bourque and scored a goal on his first NHL shot. This started an incredible, almost unbelievable career. The record of his achievements would take pages to ennumerate. It is said that he saved the Pittsburgh Penguins twice--once as a player and once as an owner. He is the only person to have won Stanley Cup Championships as a player (1991 and 1992) and an owner (2009). 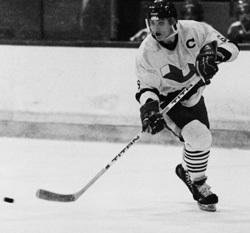 Lemieux‘s astounding career was interrupted several times. He battled a life threatening illness, Hodgkin's lymphoma in 1993. 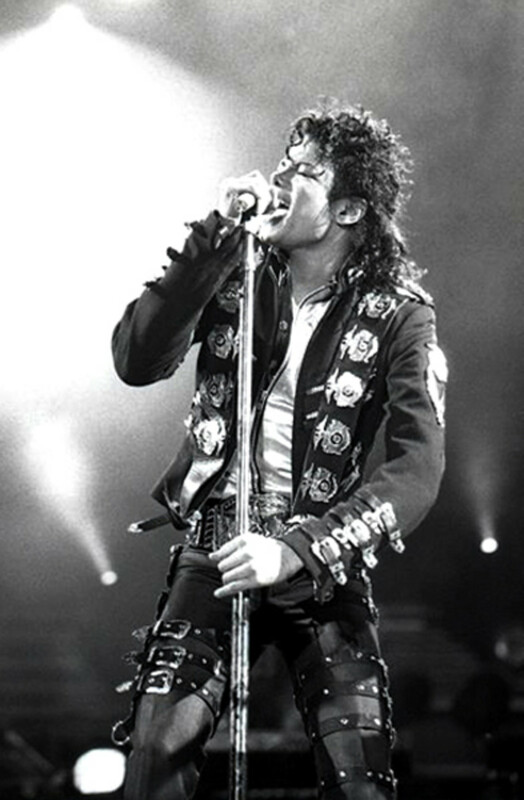 He underwent two back operations, the second on July 23, 1993. A lockout in 1994-95 reduced the season from 84 games to just 48. Without these situations, who knows how much more he could have achieved. On April 26, 1997 Lemieux played in his final NHL game, for the first time. On November 17, 1997, he was inducted into the Hockey Hall of Fame--only the ninth player in history to have the mandatory three-year waiting period waived. Over the years, the Penguins had asked Lemieux and other prominent players to defer their salaries because of financial difficulties. In the end, the Penguins were forced to declare bankruptcy in November 1998. It looked like the Penguins would either move out of town or fold the team. Lemieux stepped in with an unusual proposal. Years of deferred salaries, added up to $30 million. He proposed that this debt be converted to equity and he would buy the team. He promised to keep the team in Pittsburgh. Lemieux ended his retirement and he played in his first game in 44 months on December 27, 2000. Continuing to pile up the goals assists and records, he endured another hockey strike in 2003-4. 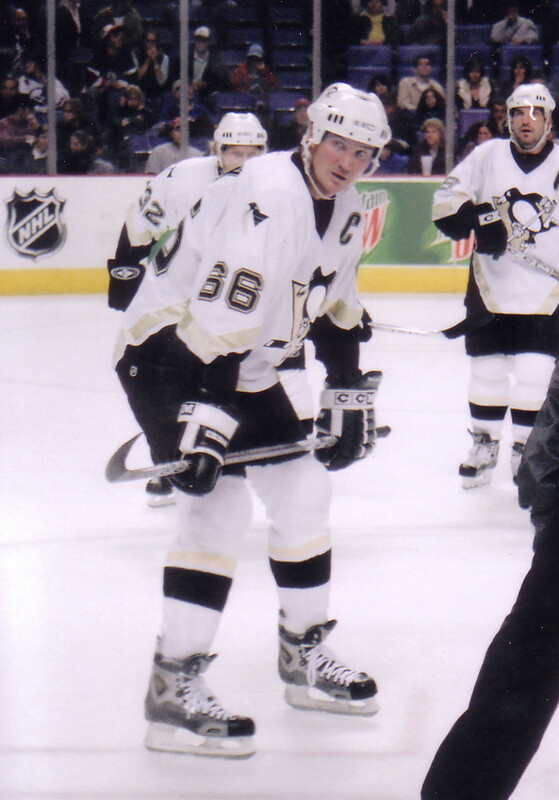 Lemieux missed all but ten games during the 2003–04 season. He plays in his final game, Dec. 16, 2006. On Jan. 24, 2006 Lemieux retires for the second time, suffering from atrial fibrillation. A statue in his honor was erected in Pittsburgh in March, 2012, outside of the Consol Energy Center. Major political rallies were part of arena history. The Ice Capades performed at the Civic Arena's grand opening on September 19th, 1961. 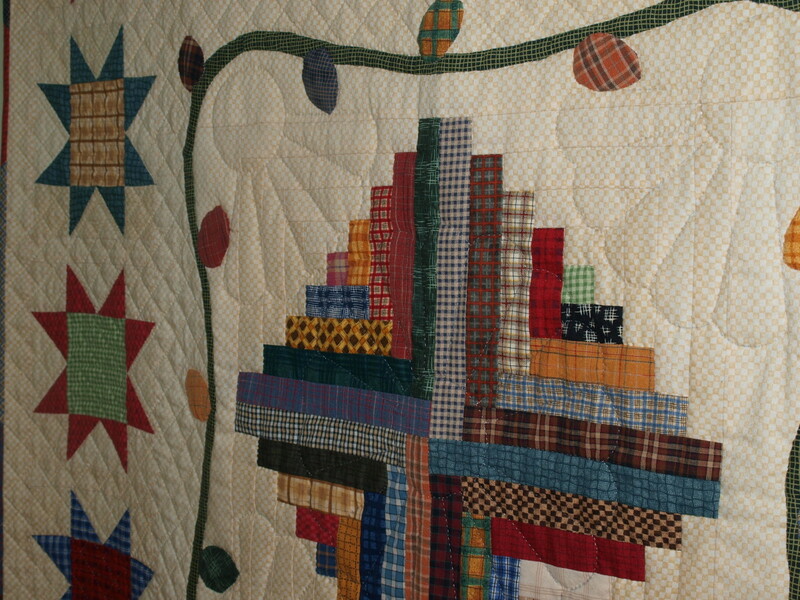 In addition, there were roller derbies, circuses, professional wrestling, professional basketball, the Harlem Globetrotters, boxing, lacrosse, football, ice skating championships, kennel shows, monster truck shows, and soccer. 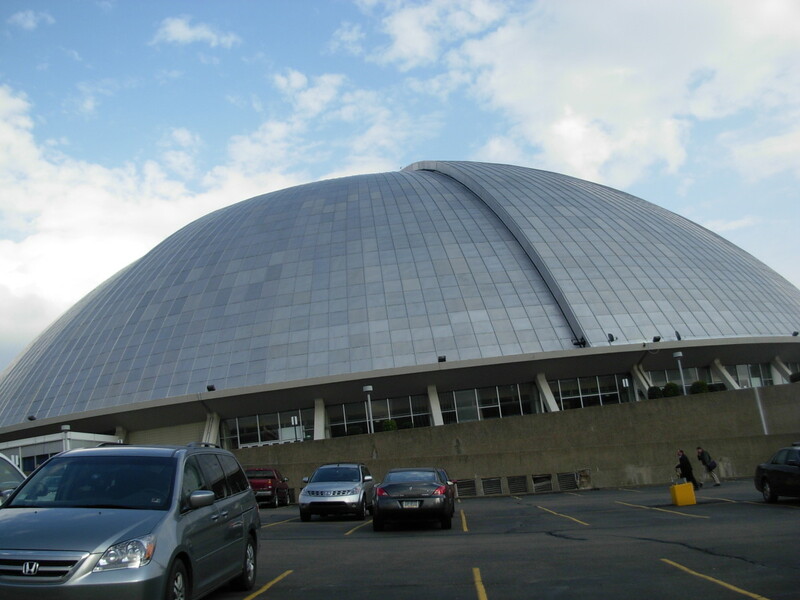 For many, the Civic Arena (Mellon Arena) was an exciting, fun-filled place that now evokes fond, nostalgic, memories. If you search the web, you will find many websites that mention concerts, sports events (especially Penguins hockey games), political rallies and many more events. Arena fans have recorded their memories with great joy. Personally, I remember watching Studio Wrestling, which aired on Saturday nights on WIIC (a Pittsburgh TV station-now named WPXI). Hosted by Bill Cardille, the show was held at the Civic Arena from 1961 until 1972. 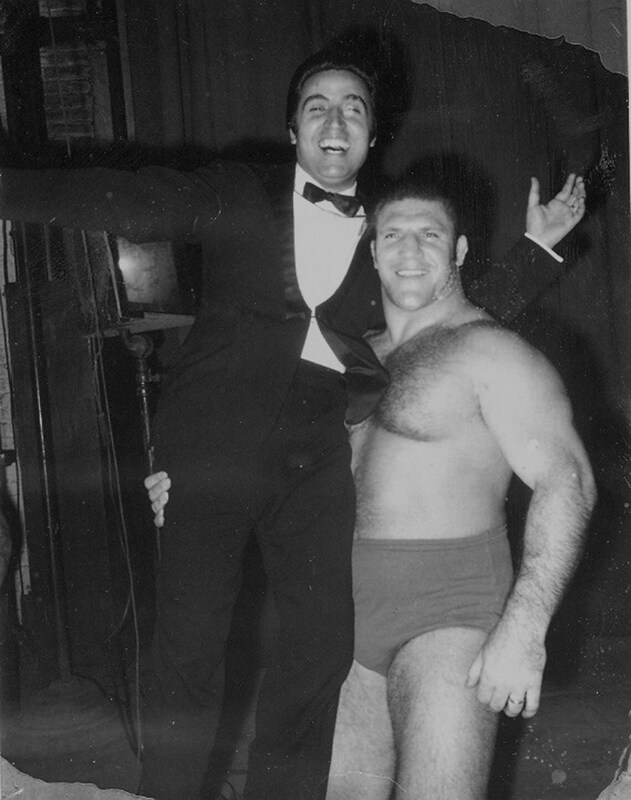 Bruno Sammartino, Bobby "Hurricane" Hunt, Jumping Johnny De Fazio, and Dominic DeNucci were among my favorite wrestlers. Bruno Samartino, the wrestler that sold out Madison Square Garden 187 times, was inducted into The Professional Wrestling Hall of Fame on April 9th 2103. Fellow wrestler Dominic Denucci had the same honor in 2012. 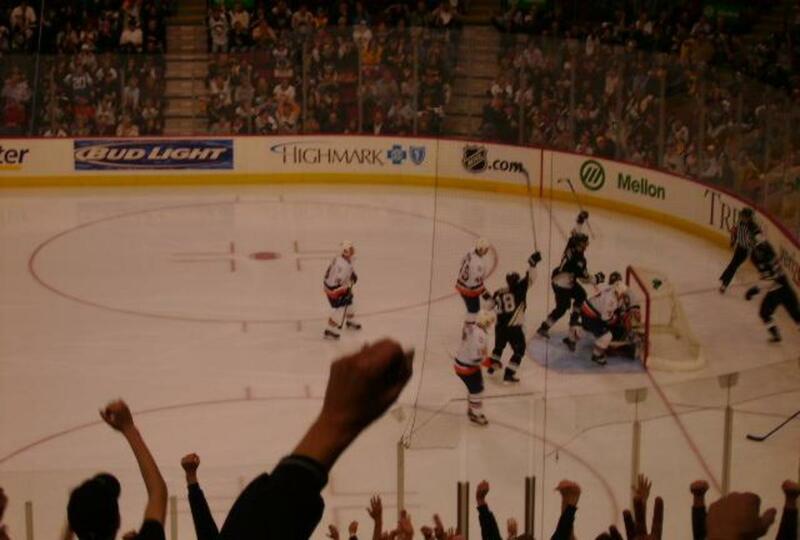 I also attended a few hockey games: once in the early 1970s and in 2008. Concerts, religious rallies, and circuses are remembered fondly by all attendees. I took a relative to the circus when he was very little. He got to ride an elephant at the circus in the Civic Arena. These memories are part of my past and bring me great pleasure. For almost 50 years, the Civic Arena (Mellon Arena) played a major part in the history of our city, Pittsburgh, PA. For some, this major entertainment venue will remembered for the joy and pleasure it provided. For others, the Civic Arena is a painful memory of a dislocated population and loss of identity. For those people, the loss of the arena may give them pleasure for different reasons. 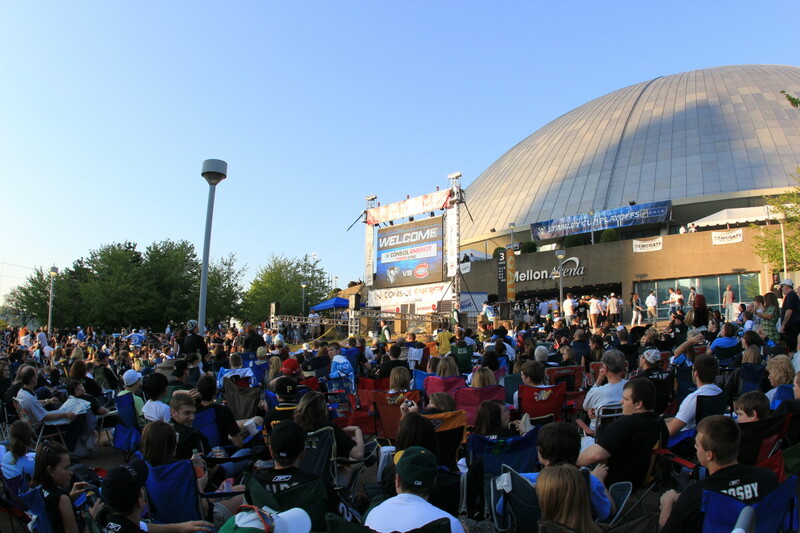 What Event Did You Attend at the Civic Arena? 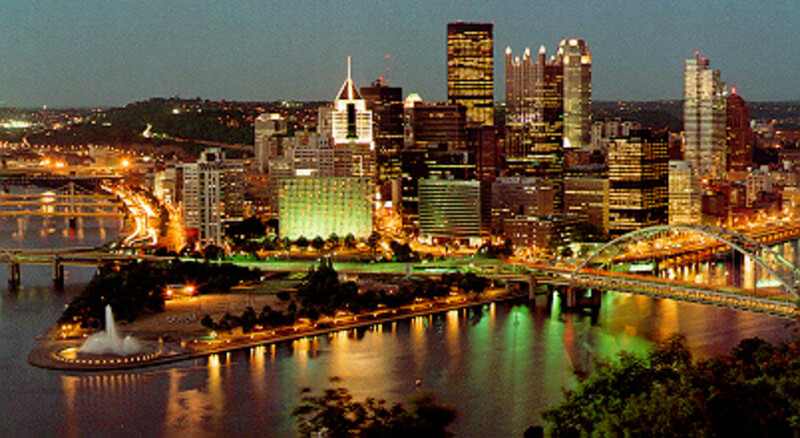 The Three Best Tourist Sites to visit in Pittsburgh, PA are: The Point, Mount Washington and The Carnegie Science Center. 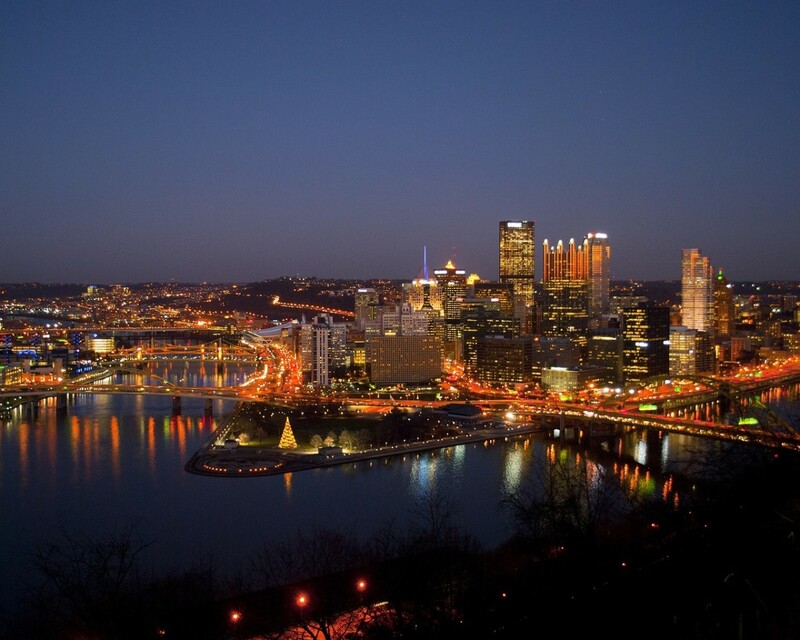 Experience some of the finest attractions Pittsburgh has to offer. Loved this hub as a Pittsburgh girl this brought back so many great memories for me. When they showed the "igloo" coming down on T.V. I almost cried. Thanks. dahoglund thanks for reading and commenting. 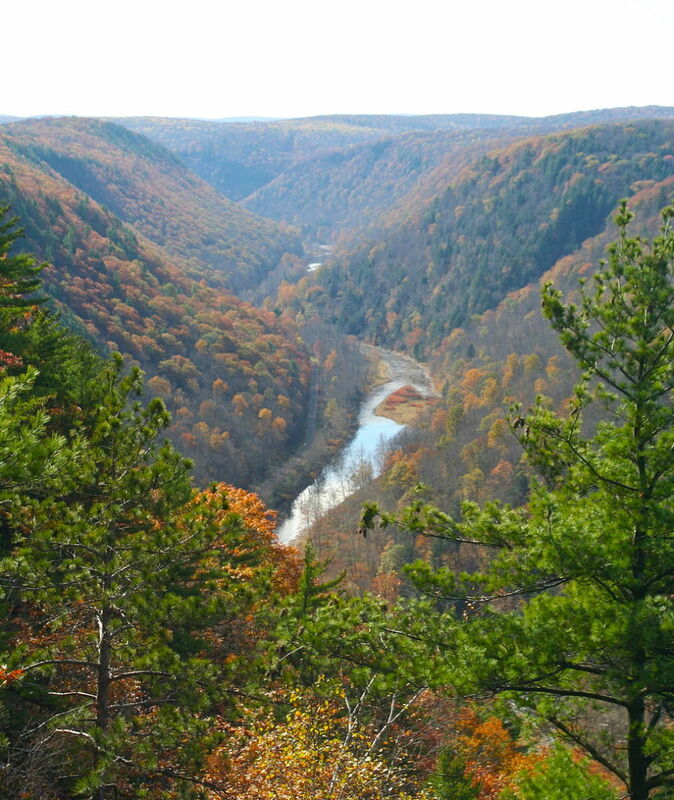 The three rivers make it an intereting place to live. There are almost 500 bridges in and around Pittsburgh and getting anywhere means you need to cross some to get there. And yes, Pittsburghers love their sports teams. Everyone in Pittsburgh was in the Civic Arena at least once. We already miss this entertainment venue. This is an interesting insight into Pittsburgh. I've never been there and I am not very familiar with the area. I may never get there but now I know something about the an aspect of the city and its sports interest. sharing. 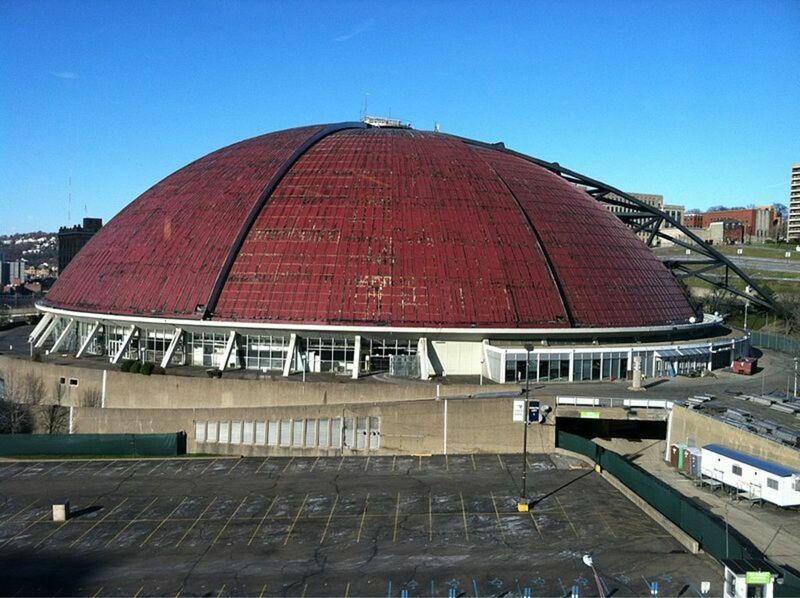 Yes--the Civic Arena was an amazing place! In a few movies, the arena was just a backdrop, in Sudden Death it was a part of the movie. 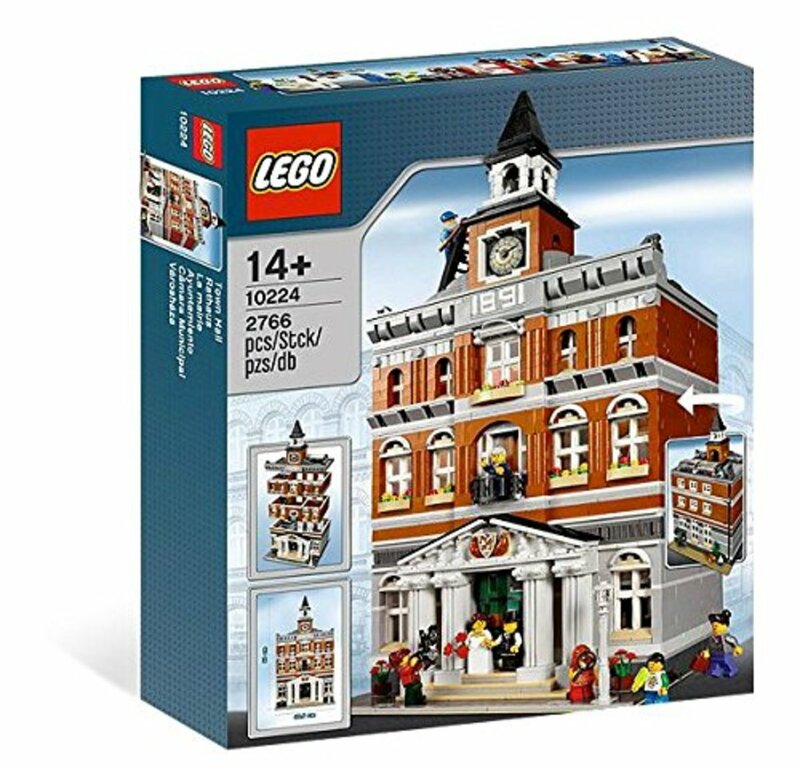 I find it hard to watch the time-lapse video of it's demolition. Thanks for stopping by! There's a lot of useful factoids in this hub. I had no idea that seven movies had scenes filmed at the Civic Arena. That's awesome!